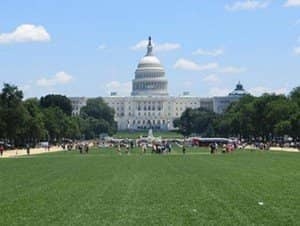 Enjoy the New York to Washington D.C. bus tour by exploring the many great sights of the capital within a short period of time. The bus picks you up at Gray Line Visitors Center at 07:00 sharp. Make sure you’ve had breakfast before then and have plenty of water and snacks with you for the ride. The bus takes you through the states of New Jersey, Delaware and Maryland before arriving at its destination: Capitol Hill in Washington, D.C. The first stop will be at the Arlington cemetery where you can visit president John F. Kennedy’s gravesite. All the while the guide will tell you about the history and facts of the nation’s capital. 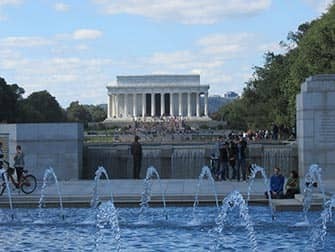 From thereon you will get to see the great Lincoln Memorial as well as the memorials commemorating the soldiers of the Vietnam and Korean wars. The tour doesn’t end there! You’ll go on to visit the Smithsonian National Air and Space Museum where you’ll see the largest collection of historic space- and aircrafts in the world. 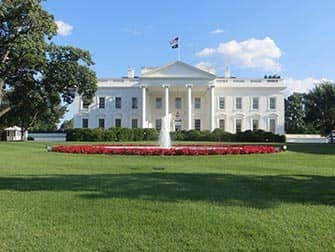 Before leaving you will get to visit the Capitol, where the U.S. Congress meets, and of course you’ll see the White House, the residence and workplace of the President of the United States. The bus will embark on a last tour of the city, so have your cameras ready to snap the panoramic views. You’ll be back in New York in the early evening, usually around 20:00 but it can be later as well due to traffic so don’t plan anything for that evening. Eric’s Tip: This day trip is jam packed so there is not a lot of time to really stroll around Washington and certainly not to shop. It’s a good way to see a lot of the city in a short amount of time and to learn about the history of the United States. 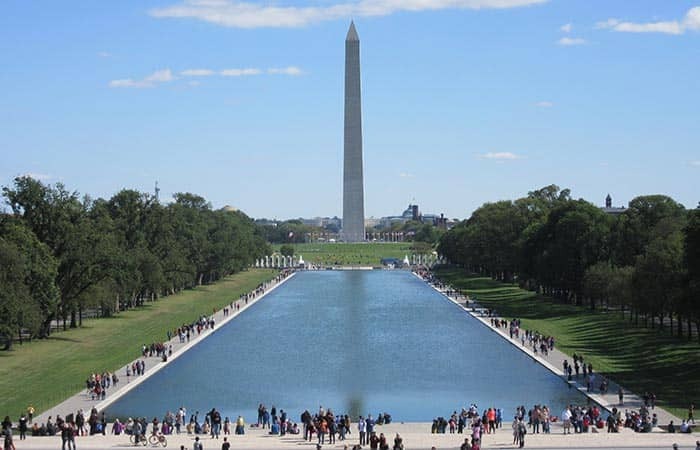 Note: If you are travelling with more than 4 people check this private Washington D.C. tour. You will tour in a private mini-van with your driver-guide and will have the flexibility to organise to the day exactly to your wishes and preferences.